Have a glance about top medical colleges in Pakistan 2018, their overview and also check programs which is best medical colleges are offering. 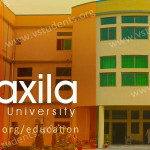 We have categorized them as a list of top ten as per ranking of Higher Education Commission (HEC). 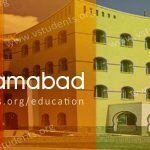 This list of top ten medical colleges in Pakistan is declared to facilitates students who had passed their FSC Pre-Medical examination and going to chose medical college or university for admission that recognized as best to deliver. Medical has become the most respectful profession in the world and in Pakistan as well that’s why it is called as the mother of education over here. In Pakistan a large number of medical institutes, colleges and universities are established where thousands of students getting a medical education by professionals. Below we mentioned the best medical colleges in Pakistan according to HEC which can be a proud symbol for you to get enrolled in one of that. HEC has strict criteria and after free and fair evaluation issue the top ten medical universities 2018 list with grades and points. HEC criteria to shortlist the medical institutes includes academic quality, medical equipment, highly professional teaching staff as well as students satisfaction. Now lets come to check HEC’s best medical universities in Pakistan 2018 and programs which they offered. Aga Khan Medical University: AKU Karachi is a renowned name of excellence for medical field in Pakistan and internationally that was formulated in 1983. AKU medical university is delivering excellence in different campuses in Karachi, Kenya, Tanzania and Uganda and providing various academic programs as health sciences, nursing, arts, media and communications. AKU Karachi is ranked as a leading medical university in Pakistan and details of fee structure, admission 2018, entry test and other program details at AKU Admission. University of Health Sciences: UHS Lahore aims to give distinction and brilliance in medical & health sciences as an international standard. It focuses on delivering high-quality instruction in the basic medical science by its internationally qualified professionals who had become the cause to make it 2nd best medical college in Pakistan from all the medical institutes. 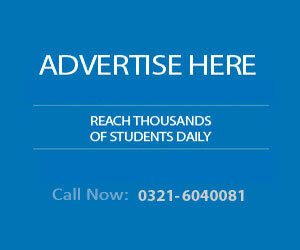 To get admission in University of Health Sciences Lahore check the listed programs. Find the complete UHS admission guide Here. 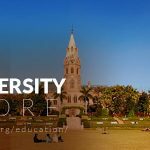 Dow University of Health Sciences Karachi: Introducing one of the oldest and high ranked public research institutes of Pakistan named Dow University placed in Karachi. DUHS comprising various health sciences research institutions and medical colleges mainly Dow International Medical College (DIMC) and Dow Medical College (DMC) and offering undergraduate, postgraduate and doctoral programs. Dow Medical University has recently announced admissions in Clinical Research Certified Professional course, BBA and admission in MBA at Institute of Health Management (IHM). You can also find the further details of enrollment in DUHS, fee structure, application form and last date. Khyber Medical University Peshawar: KMU is a public sector institute of higher education affiliated with HEC Pakistan which was founded just seven years ago. It aims to provide services to people of Pakistan particularly the citizens of tribal areas with the promise of merit and quality in medical science and practical research. In Khyber Pakhtunkhwa, there are many institute and colleges affiliated with KMU Peshawar in which a few renowned names are listed below. Riphah International University Islamabad: We have found that in the list of top ten leading medical universities in Pakistan, Riphah International University got the fifth rank which shortly known as RIU. This paramount institute of medical learning located in the capital of Pakistan, Islamabad and has been serving people in 2002. 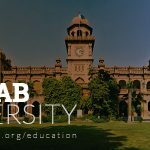 It has two other campuses placed in Lahore and Faisalabad where it offering several academic programs as in medical science, dental, rehabilitation sciences, pharmaceutical, engineering, management, computing and information security. 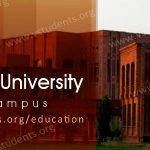 Isra University Hyderabad: Check the sixth top medical university as per HEC criteria named Isra University, having three campuses Islamabad, Karachi and Hyderabad. It’s an autonomous organization licensed by Pakistan Center for Philanthropy and owned by Isra Islamic Foundation (IIF). IUH offers up-to forty degree programs from graduation to doctoral level and more than 3500 students are enrolled with it. King Edward Medical University Lahore: Almost every Pakistani knows this name creditably because of its high standard of educational infrastructure, a team of professionals and facilities providing to enrolled students. Higher Education Commission has given 7th rank to King Edward Medical College in the top ten best institutes of medical education in Pakistan 2018 year. This school of medical learning having departments of basic sciences, medicine & allied, surgery and allied health sciences in which it offers undergraduate and graduate admissions to students. Check King Edward University fee structure, admission 2015-16, last date of form submission and other details visit official website or follow this link KEMU Admissions. Liaquat University of Medical and Health Sciences Jamshoro: We have given the place from top ten list of medical colleges Pakistan LUMHS stands at number 8th rank institute. It aims to serve humanity, to achieve prominence as world class medical school of teaching & research and to give education with great ability to undergraduates, graduates and postgraduates. Ziauddin University Karachi: It’s a HEC’s recognized degree awarding school of medicine founded by Doctor Ziauddin Ahmad, theme to increase medical education with quality amongst the Muslims. 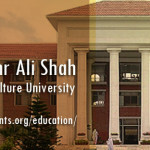 It has made different colleges, departments and faculties to give particular discipline as faculty of medicine, college of dentistry, pharmacy, college of nursing, college of bio-medical engineering, college of physical therapy, faculty of allied sciences, department of research and institute of communication & media studies. Gandhara University, Peshawar: Gandhara University is standing at the number 10th position in the HEC’s recognized list of top medical colleges in Pakistan that is located in Khyber Pakhtunkhwa Province capital Peshawar. 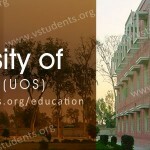 Check GU Peshawar fee structure, admissions, last date of application and also jobs in Gandhara University at Vstudents.org/education. It aims to foster academic excellence, to improve quality, produce professionals and establish the international level of medical education. Above we have done the list of HEC recognized best medical colleges in Pakistan 2018 which are standing at top ten list. 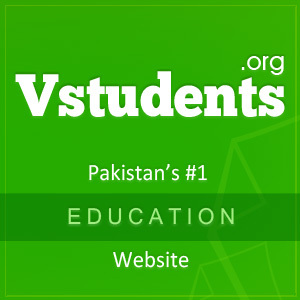 The above information will definitely assist students that, which medical colleges are best in Pakistan of government and private medical institutes. 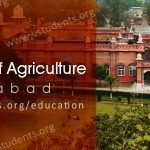 Students must know all necessary information specially fee structure and eligibility criteria when they apply for any course or degree program in any of the mentioned medical colleges. I would like to know the requirements to apply for MBBS programme in 2016 at UHS university of health sciences.